If you are looking for a product for your Kitchen or Bathroom that will stand the test of time and outlast Laminex and Wood, you have found it in Natural Stone. You need only to think of the Pyramids, Stonehenge and the Colosseum. These beautiful monuments are all made from natural stone, are thousands of years old and have outlasted generations. 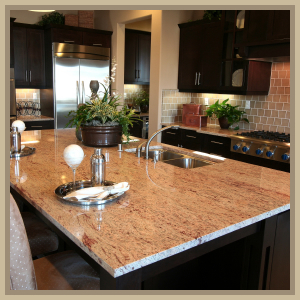 When purchasing marble, granite or limestone you need to have a basic understanding of the product, and it is for this reason that we urge you to read this article so that your decision is as informed as possible. Marble, granite and limestone’s are 100% natural products, hence variations exist in grain size, structure, veining, shade, tonings and colour. It is not abnormal for some marbles, granites and limestone’s to have an open or pitted surface. This is not the case for all stones, but it is a 100% totally natural characteristic’s of most stones. It is not a flaw of the stone, nor is it a case of the stone being second grade, nor is it a defect of the polishing process. It is simply an unavoidable characteristic’s of most stones. 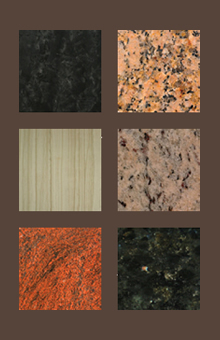 Some stones have little or no openness, some have a medium degree and some have a higher degree of this characteristic. Again, I stress that this is not a flaw, hence it is futile to ask to fill these areas as they are so shallow that they cannot be filled. Repolishing will also do nothing to alleviate this characteristic. Marbles in particular may have what we call open veins, again a characteristic of the stone. You must not put hot items such as a full roast tray, a pot or saucepan full of hot contents, or similar items directly on top of your benchtop. 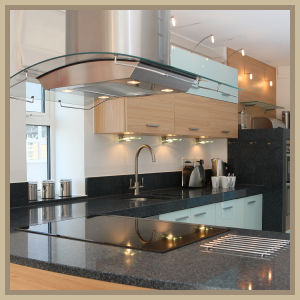 This can cause your stone benchtop to crack. 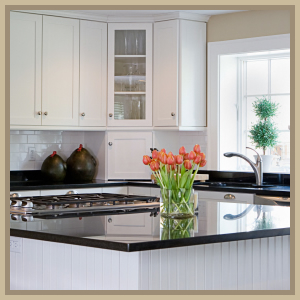 Oil, fat and butter can change the look of your stone benchtop. It will darken it. This does not mean that your stone is damaged. Some stones are also more absorbent than others. Again, this is not a defect nor a reflection of quality, but a natural characteristic of the stone. All bench tops are treated with a Hydro repellent before installation. Most times this is effective against oils etc, until it is corroded away by acid liquids such as citric acid or acetic acid (i. e. vinegar) these acids will not damage granite, but they will remove the polish from a marble or limestone, giving you a dull spot. In the case of granites these liquids will corrode the Hydro repellent which lies in the pores of the stone once corroded, liquids such as oil will then permeate the surface of the stone and give you a dark spot. The location of joins is governed by the lengths of the slabs available at the time of manufacture of your benchtops, also by the location of appliances, i. e. sink and hotplate, by the lengths of your kitchen benchtops and also by the cutters strategy. We try to keep joins to a minimum as much as is practical. Marble and limestone are softer than granite, and therefore scratch easier and present wear characteristics which are diverse from granite. There is nothing wrong with using marble as long as you understand its wear characteristics, the same way that timber presents its wear characteristic’s when used as either a bench top or floor surface.